Sandals Resorts International (SRI) has emerged as one of the fastest-growing and most successful companies in the all-inclusive resort segment by emphasizing the elements that differentiate the company from its competition. 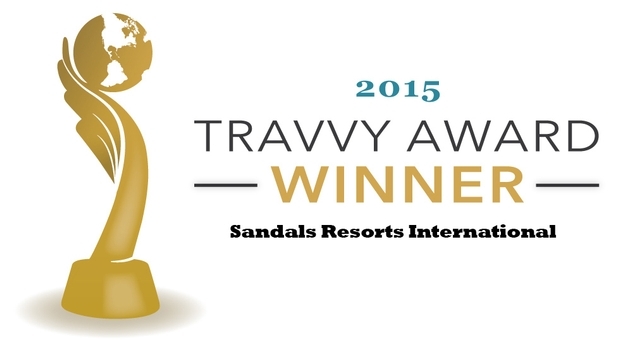 SRI’s focus on high-quality amenities, top-shelf facilities and premium cuisine, plus its strong emphasis on attentive personal service have not only driven the company’s success, but this year has also earned SRI recognition as a winner of the inaugural Travvy Award for Best All-Inclusive Resort Chain. Not surprisingly, the company’s founder and chairman, Gordon “Butch” Stewart, points to the elements that differentiate SRI from other all-inclusive resort operators as key to its success. Stewart identified a number of areas where the company’s resorts, particularly its Sandals and Beaches Resorts properties, surpass their competition. They include accommodations, and the Sandals and Beaches properties offer innovative and luxurious rooms with up to 26 categories including company inventions like Love Nests Suites and Swim-Up, Skypool and Millionaire suites. Another area in which Sandals surpasses its competition is in the level of service staff at the company’s various resorts provide. “Service is paramount and reflects the warm Caribbean hospitality tradition of the region,” Stewart said. For example, Stewart said, tipping is not permitted nor expected at Sandals Resorts. In addition, staff members receive rigorous training at Sandals’ Corporate University, which offers professional development in partnership with 13 top-ranking accredited institutions of higher learning. SRI’s services extend to its accommodations, which are staffed in numerous categories by personnel trained by the Guild of Professional English Butlers. “Sandals Resorts’ butlers add an unmatched, personalized touch to the vacation experience, not only tending to guests’ every need throughout their stay, but anticipating their every need,” said Stewart.